Best Spring & Summer Perfumes! + Perfume Shopping Tips! It's finally beginning to feel like Spring in NYC and after the bipolar weather we experienced this year I am really looking forward for Summer to give us a hot embrace! The transition from rich, deep, fragrances to light, fresh, scents seems like an indication that spring has arrived and today I am going share my all time favorite Spring & Summer perfumes, as well as a perfume that is currently on my wish-list! Choosing a perfume is a personal experience. Each individual responds differently to scents, and our noses have their preferences. In order to decide if we like a fragrance, we first have to see how well it mixes with our body chemistry. I personally love fresh, citrus-y, fruit-y, perfumes with hints of musk, and sandalwood. ♥Apply the perfume tester to your wrist and neck. Let the perfume develop and mix with your body chemistry for more than an hour. 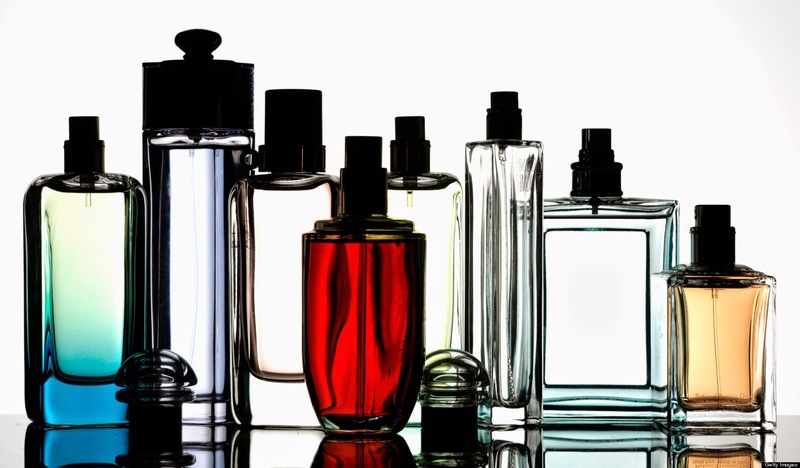 Usually perfumes have 3 layers: top notes, middle notes, and base notes. In a way that gives us 3 different variations of the scent as the day goes on. When you initially spray on a perfume, you will be hit with the top notes, as the top notes die down the middle notes will be more prominent, and finally the base notes will be intensified. You want to have the perfume on for more than a few hours to determine if you like the scent on yourself, and the way it wears. ♥Shopping for a perfume online? Search up the notes of your current favorite perfumes and see if any of the notes are present in the fragrance you are interested in to determine if it's a scent that would suit you before placing the order. It I could wear one perfume for the rest of my life it would be DKNY Be Delicious. This is my signature scent! I have been repurchasing this scent for 8 years, so if that doesn't show you that I love it I don't know what will ;-) I always receive a ton of compliments whenever I wear this perfume & I think it smells glorious! DKNY Be Delicious is a very refreshing and light fragrance. It is a perfect concoction of scents that blend together beautifully which makes it my top pick! If you love DKNY Be Delicious but don't think it has the sophistication you seek, then Chanel Chance Eau Fraiche perfume is the perfect match for you! It is a beautiful chic fragrance that is perfect for this time of year. It has a light, crisp, luxurious scent that is to die for. Notes: Lemon, Cedar, Pink Pepper, Water Hayacinth, Jasmine, Teak Wood, Iris, Amber, Patchouli, Vetiver, White Musk. This is a downright classic spring and summer scent! It smells divine so it's popular for good reason. If you like citrus scents then look no further because this is the perfume for you. It is a fun summer scent & I guarantee you will receive compliments when rocking it. OMG this perfume smells incredible! This is a perfume both my Mom and I go crazy for, so definitely a scent that is perfect for all ages. This perfume is a little harder to find nowadays, I don't know what the deal is but Versace might have discontinued it which is heartbreaking news. However you can still find it on websites such as OverStock and Fragrantica so I will definitely be stocking up because I need it in my life haha :-) If you like any of the above fragrances I mentioned, you will adore Versace Versense! Notes: Bergamot, Green Mandarin, Fig, Citruses, Pear, Cardamom, Sea Lily, Jasmine, Sandalwood, Narcissus, Cedar, Olive Wood, Musk. What's funny is that 3 of the 4 perfumes I mentioned are all GREEN and many of the notes are repeated within each fragrance. Coincidence? I think not, obviously my nose knows what it likes and these are the scents I gravitate towards. If you love one of the perfumes I mentioned, then I am 99% sure you will love the other 3 as well! I took a whiff of this perfume in Sephora the other day & fell in love with this new beautiful fragrance from Bvlgari. It is a perfect subtle citrus scent with depth that comes from the woodsy notes. I think this is a very clean smelling perfume that is not overwhelming with a hint of mystery. If your looking for a toned down citrus scent unlike the D&G Light Blue then give this new gem a sniff the next time you are fragrance shopping! Notes: Mandarin, Saffron, Indian Tuberose, Osmanthus, Indian Woods, Amber. What's your favorite Spring/Summer Perfume? Do you have a Signature Scent? Let me know by leaving a comment! Thank you so much for reading! If you enjoyed this post show me your support by following my blog :-) Also don't forget to check out my YouTube channel StarryEyedGlamour (http://www.youtube.com/StarryEyedGlamour) for more beauty fun and all things glamour! Dining in Palm Jumeirah Enjoyed every bit of your blog post.Really looking forward to read more. Fantastic. There are numerous variables to Charlotte Rampling Skin Cream think about while scanning for your ideal corrective beauty supplies.